Zucchini flowers taste as good as they look, if not better. Stuffed with fresh mozzarella, a hint of anchovy (or not), lightly battered and fried until crisp and golden, they are summer on a plate. 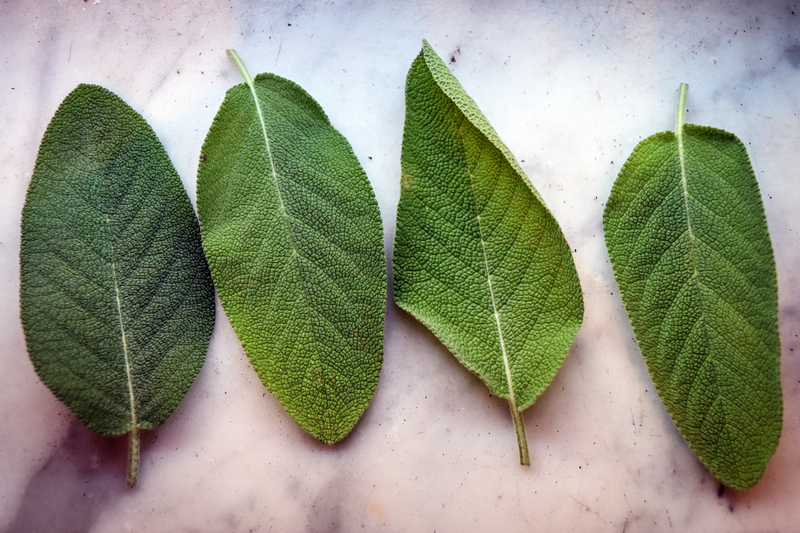 Fresh sage leaves–encased in the same warm, crispy shell–will turn your thoughts to autumn. But the good news is, you can have them now. Two appetizers straight from the garden. 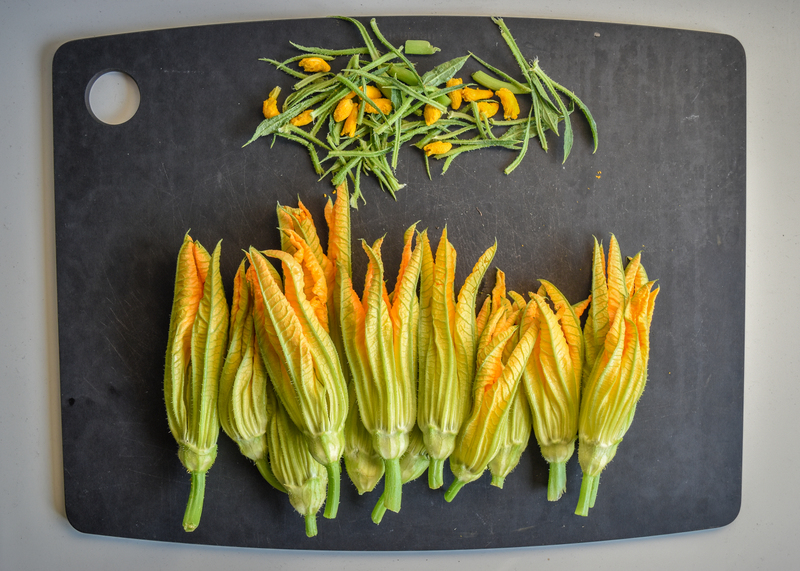 *Use male zucchini flowers. 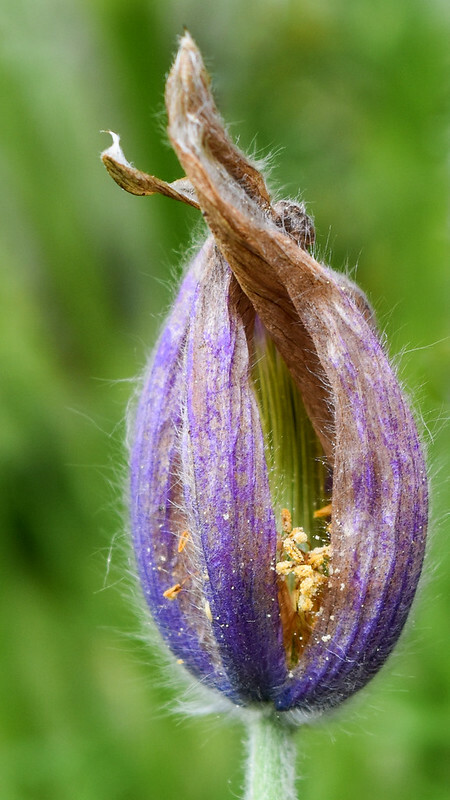 They appear at the end of long stems, unlike female flowers, which appear at the end of the emerging zucchini. 1. Prepare the batter: Put the water in a medium bowl and sift the flour over it, whisking to incorporate. Add a pinch of salt and some freshly ground pepper. The batter should be thick enough to coat the flowers, but not pasty. See the right consistency for a light batter below. Set aside the batter while prepping the flowers. 3. Mozzarella and Anchovies: Cut the mozzarella into as many 2.5-inch ( 6 cm) long rectangular pieces as you have flowers–or whatever size best fits into the flowers you have. You can omit the anchovies, you can go all in and lay a nice piece of anchovy fillet on top of each piece of mozzarella before placing both in the flower, or you can take a moderate approach. That entails placing the anchovy fillets in a bowl, drizzling them with some extra olive oil, mashing them with a fork, then placing the mozzarella pieces in the anchovy oil so they get a hint of the flavor rather than a wallop. Either way, you want to place the mozzarella pieces (with or without anchovy) into the flowers, covering them up as best as you can and twisting the ends of the flowers closed to create a mini pouch. 4. Bring the oil to high heat in a medium saucepan. 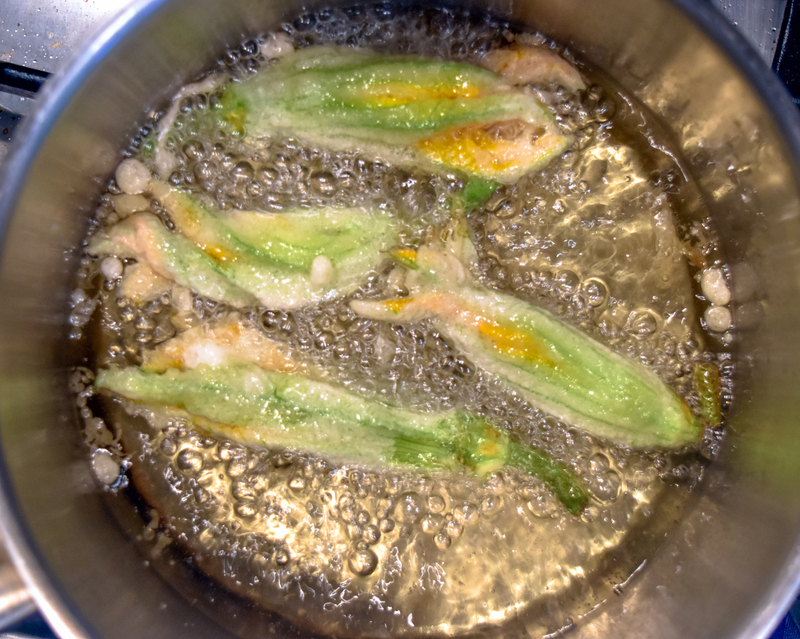 Holding the stem end of a sealed zucchini flower, dip it into the batter in a twirling motion to keep it closed (sealing any open parts with your fingers and twisting the bottoms closed again if needed). 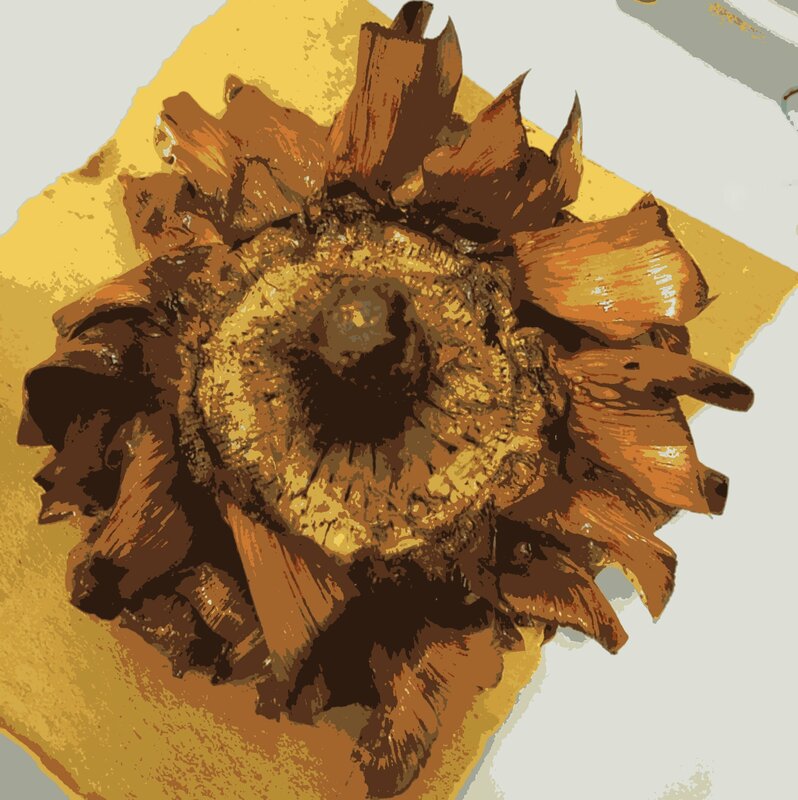 When the flower is completely covered in batter, carefully lower it into the oil. Repeat for as many flowers as will fit into the saucepan in one layer without crowding; you will need to cook the flowers in batches. When one side is golden, turn the flower over (or push the flowers gently under the surface of the oil as they cook, to ensure both sides become golden). 5. Drain the fried flowers on paper towels, sprinkle with a bit of salt, and eat as soon as possible! Any flower garden is a pleasure to behold, but a thoughtfully curated, beautifully laid-out, well-maintained botanic garden is truly magical. 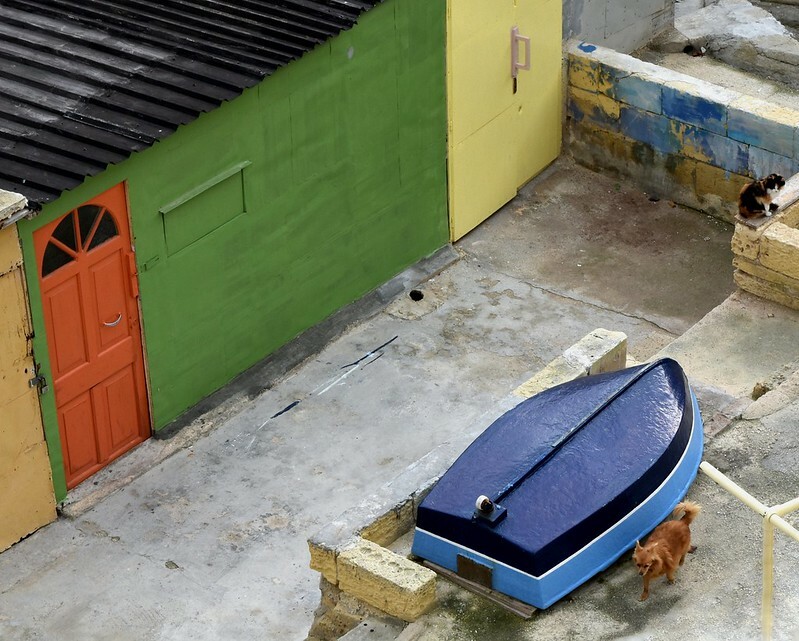 It is a living museum based on sustainability and conservation where knowledge and art come together to educate visitors and expose them to collections they might not otherwise see. 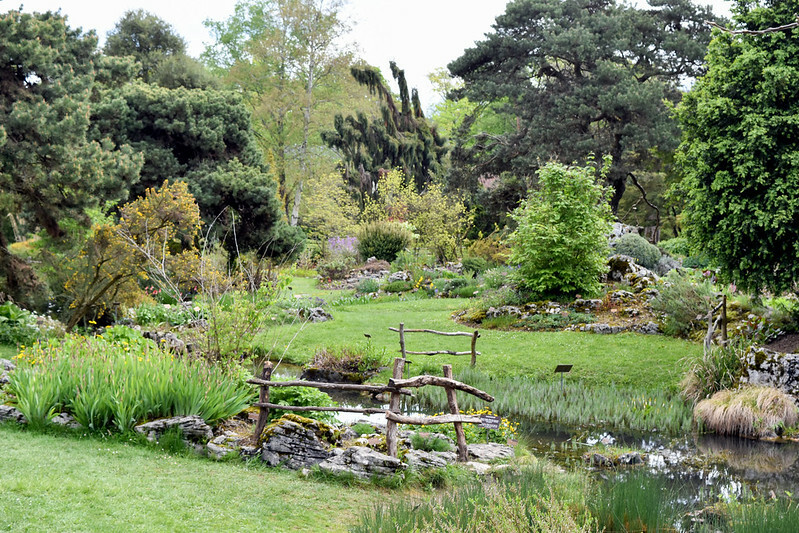 The Geneva Botanic Garden — with its outdoor rock gardens, streams, and ponds; its conservatories; and its arboretum — is such a place. Because botanic gardens are such peaceful places, it is hard to imagine any nefarious activity occurring in them. But botanic gardens contain items of great beauty and of great worth, and just as there have been art heists, there have also been famous plant heists: from the almost-daily theft of tulips in Carolus Clusius‘ botanic garden at Leiden University in the late 1500s (precursor to the really nasty Tulip Mania that would follow) to the 2014 theft of a water lily brought back from the brink of extinction at London’s Kew Gardens–a crime Scotland Yard was called in to investigate. The result is that at many botanic and private gardens, and in other unexpected places, increased security is now par for the course. 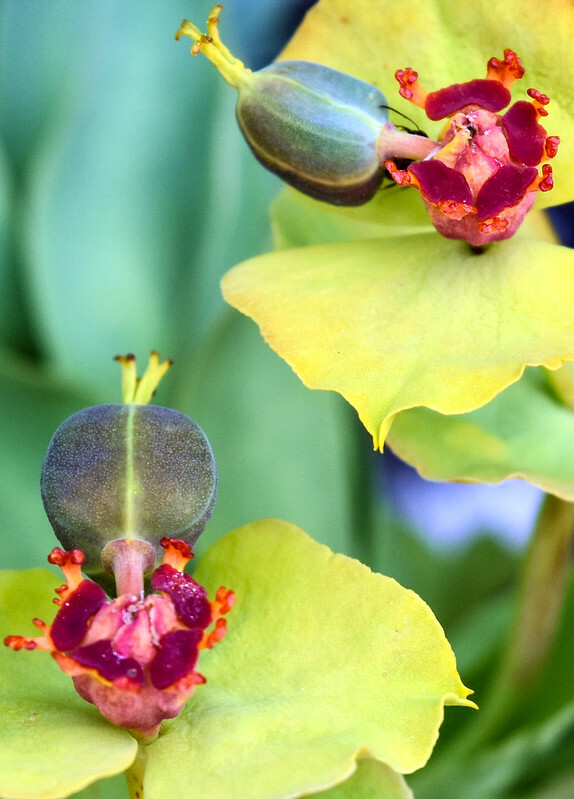 Pun intended–a lone, wild lady slipper orchid found on a golf course in England in 1930 (the only one if its kind–the plant had been declared extinct) is said to have more police protection than the Queen. 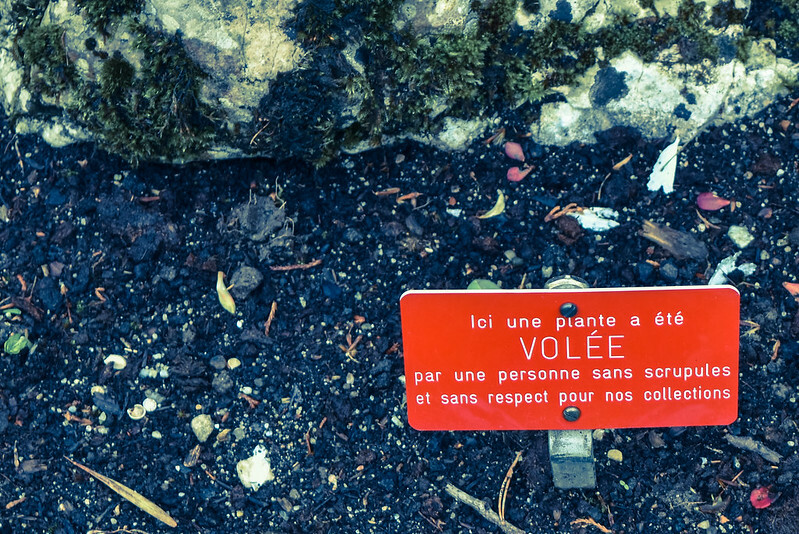 I was reminded of this dark side of the botanic world twice in recent weeks: first, by a sign in an empty spot at the Geneva Botanic Garden: “Here a plant was STOLEN by someone without scruples and without respect for our collections.” It was a sobering sight. 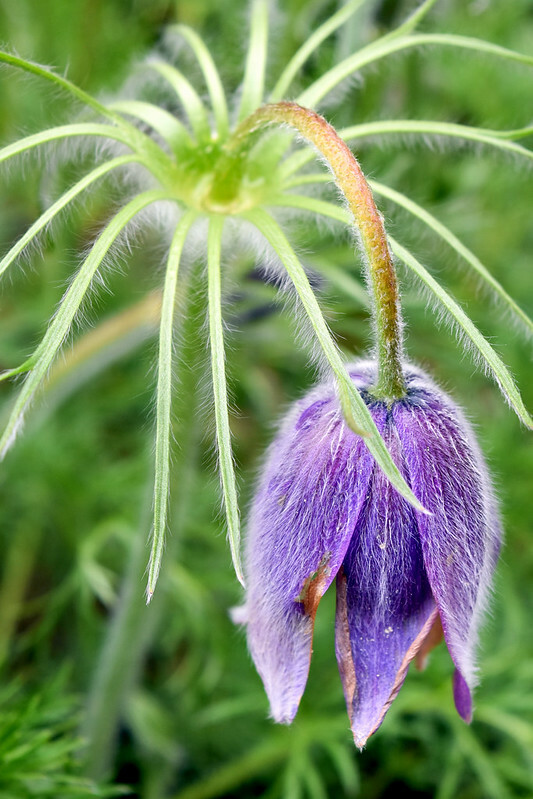 And second, on a private garden tour on the outskirts of Rome, where a well-dressed elderly lady surreptitiously took clippings of numerous plants and hid them in her handbag. 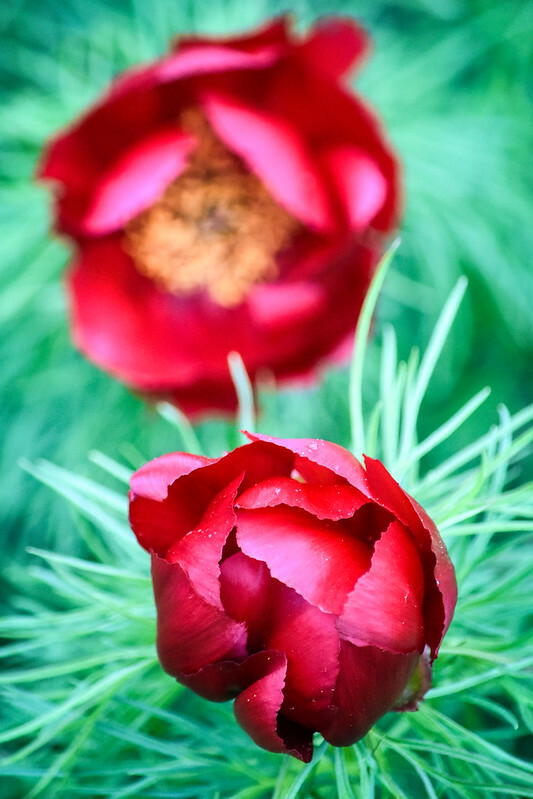 Luckily, the owner of the garden is usually quite gracious about clippings, when asked. But what is it that compels people to possess something beautiful, rather than simply admire it? 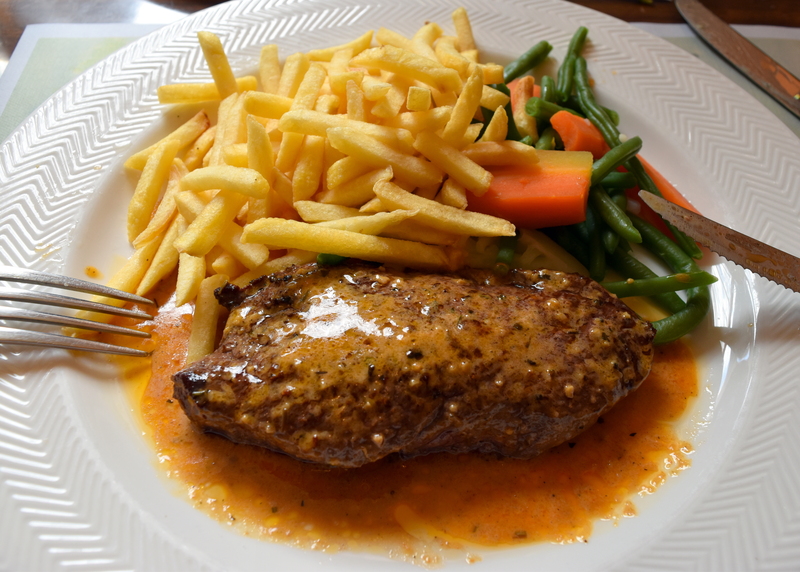 Steak de Cheval: Did We or Didn’t We? Though people have been consuming horse meat for millennia, in the United States (and in most English-speaking countries) it is culturally inappropriate to eat it, even though some commentators argue there could be good reasons to do so. But across Europe (including in Italy, where I live), and in Asia and Mexico, horse is on the menu. 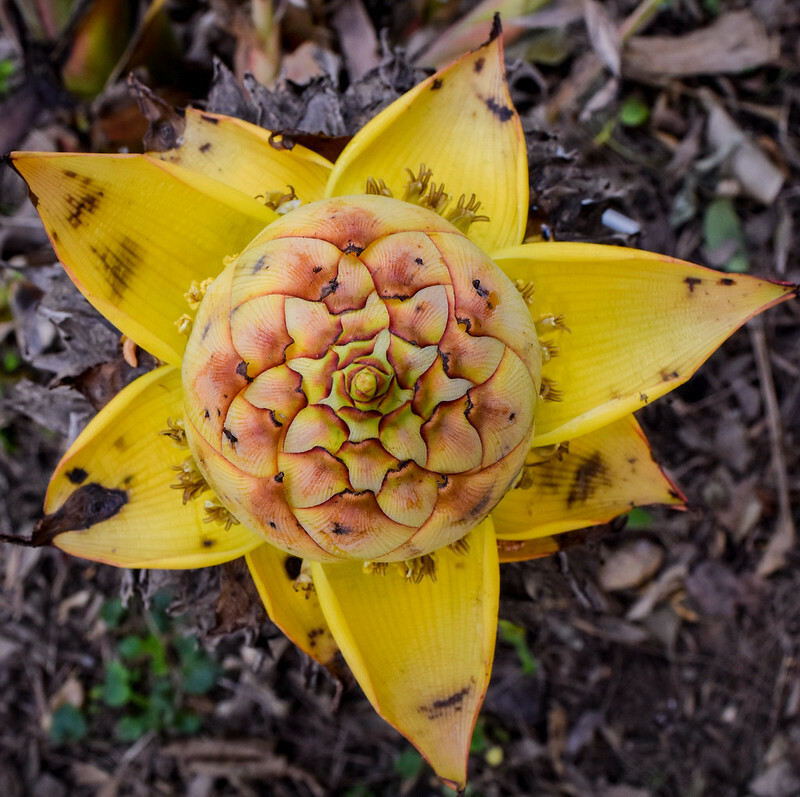 On a recent visit to Rome’s Botanical Garden, I walked past an elbow-high plant with a stunning yellow orb unfurling on top of a sturdy stem, and did a double take. 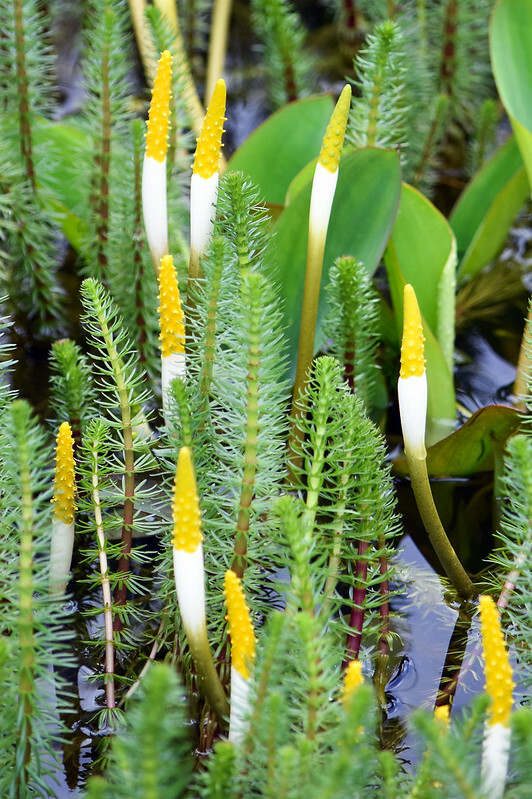 Upon closer inspection, however, it did have a familiar feature–the tiny flowers characteristic of banana plants. That’s because the Ensete lasiocarpa (also known as Musa/Musella lasiocarpa* and commonly known as Golden Lotus Banana, Chinese Dwarf Banana) is closely related to the edible banana we know, though it does not produce edible fruit. 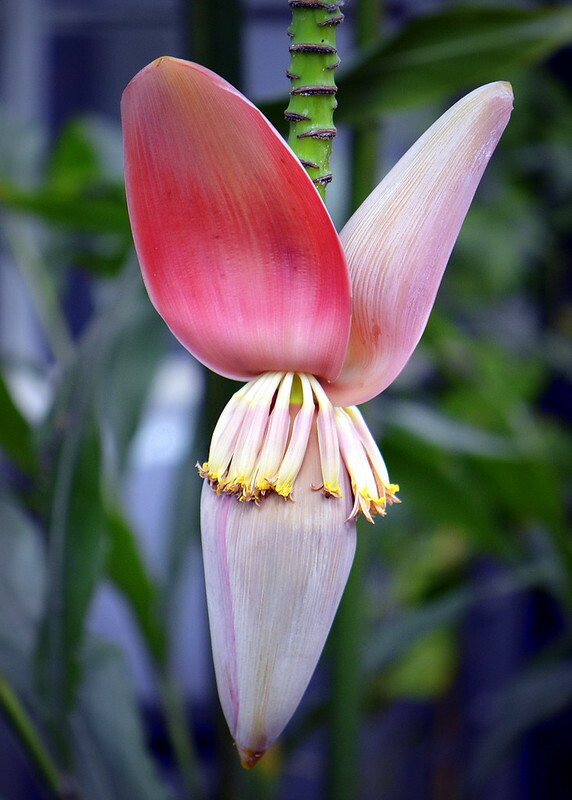 It is an ornamental banana native to the Yunnan province in China. 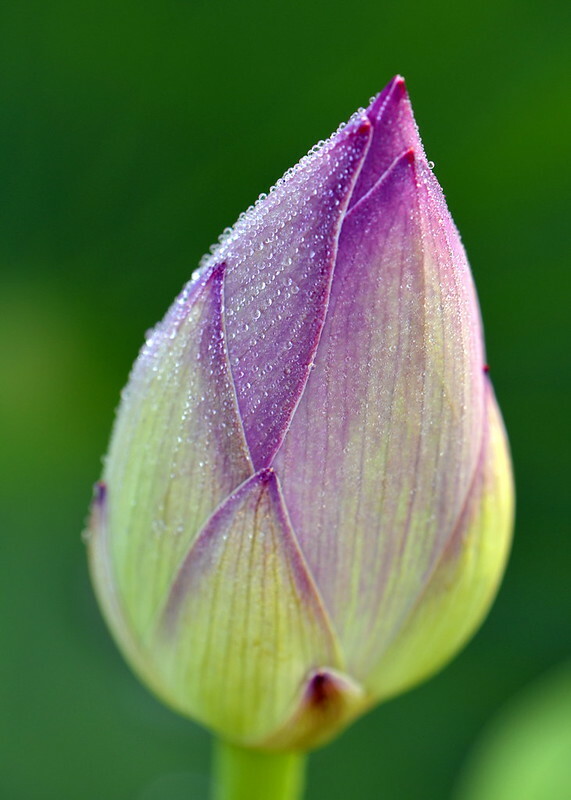 As mentioned in a previous post, what looks like a flower is actually an inflorescence consisting of layers of bracts (the golden yellow petal-like parts), with rows of the actual, very small flowers nestled in between. 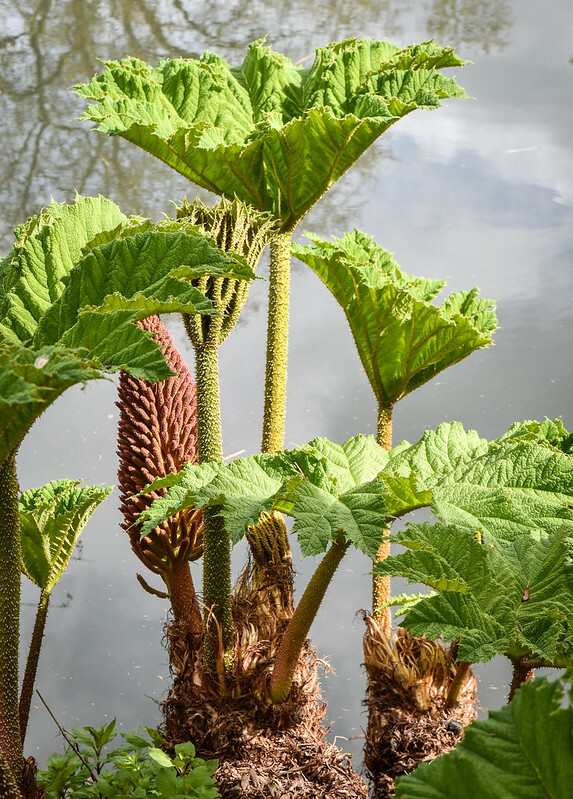 You can see the small, elongated banana flowers in photos 1, 3, and 4. 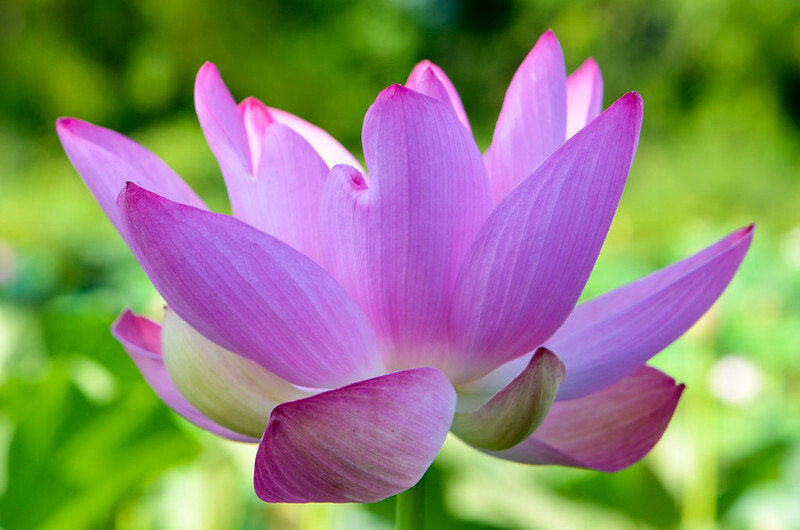 The ornamental banana is known as a Golden Lotus Banana because its unfurled, ethereal brachts are said to resemble the petals of a lotus flower, which is known as a Sacred Lotus. 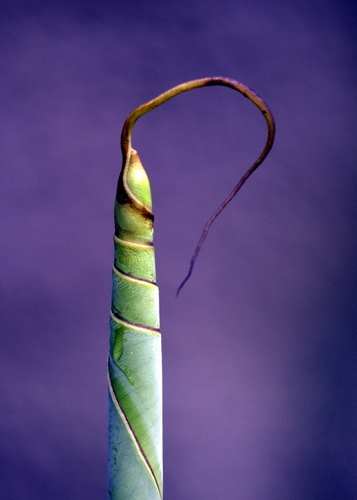 I think the closed inflorescence of the Ensete lasiocarpa and the closed bud of a lotus flower also look alike. 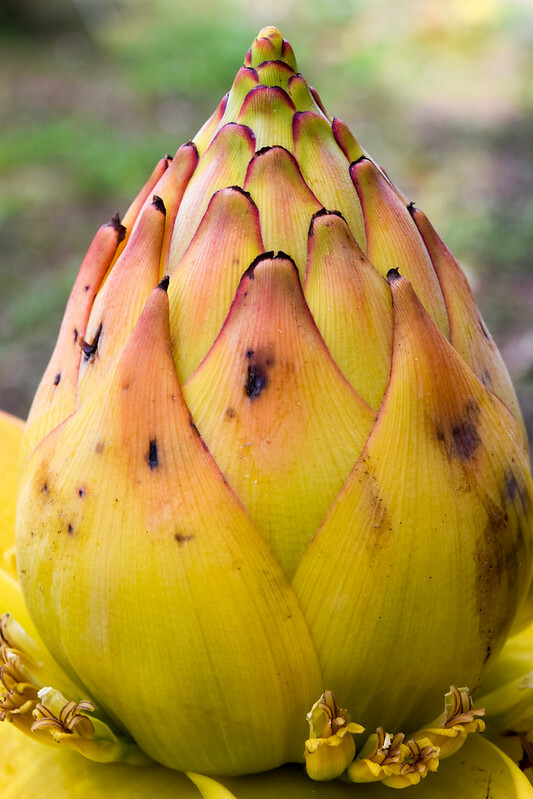 And it may be no coincidence that the Golden Lotus Banana was a sacred plant of Buddhist monks. * There have been some disagreements as to nomenclature. 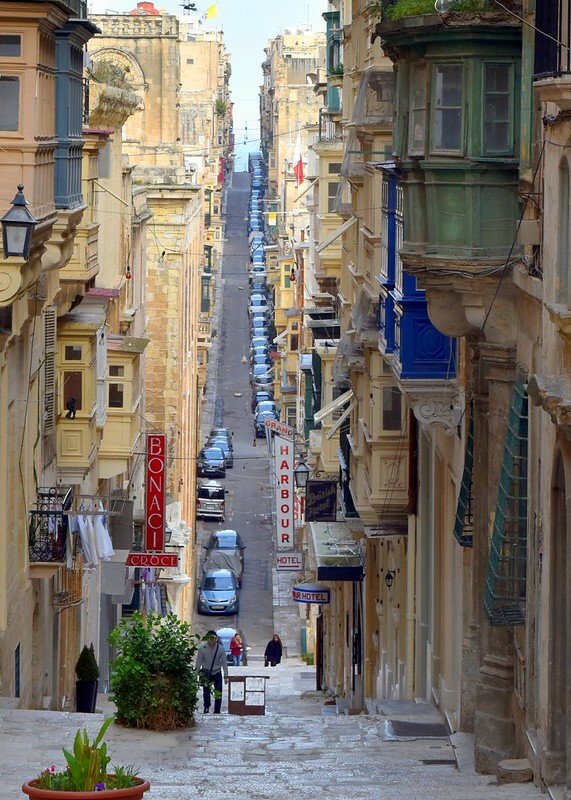 At the end of January, when we were contemplating where to go for a long weekend away from Rome, a friend said “Malta–it’s #3 on the New York Times’ list of 52 places to go in 2016!” Malta was #3 on the list? It was, and for 39 euros each way, off we went to discover why. St. John’s Co-Cathedral: The cathedral was built by the Knights of St. John (Knights of Malta) in the 1570s, after they had been on the island for 40+ years following their defeat in Rhodes by the Ottomans. King Charles V of Spain gave the Knights the Maltese Islands for the annual fee of one Maltese falcon. People frequently ask “Why is the church called a “Co-Cathedral? 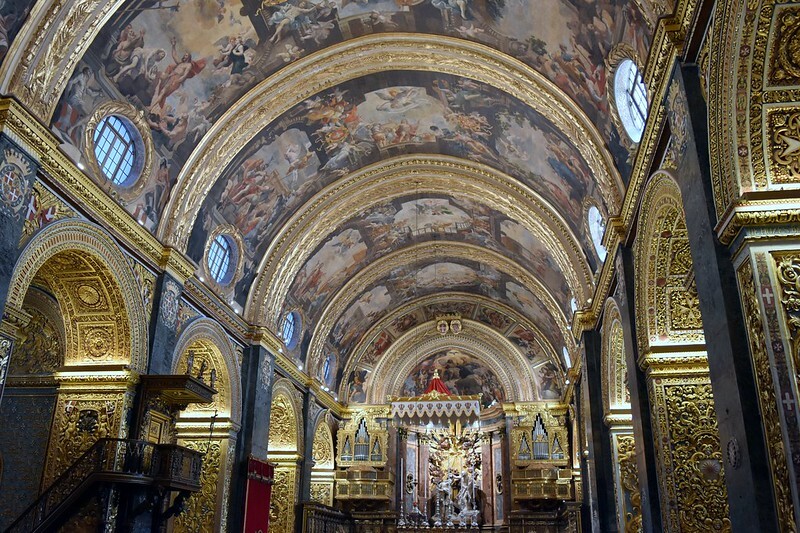 Traditionally, the church over which a bishop presides is called a cathedral, and in Malta that honor fell to St. Paul’s Cathedral in the old medieval capital of Mdina. But in the 1820s, the bishop was allowed to use St John’s as an alternative see, and hence it too became a cathedral, after 250 years of being a simple church. Except that it hadn’t been a simple church for a long time and by then, the Knights were no longer in Malta. However, they did everything in their power to make their church memorable, even if it wasn’t a cathedral. 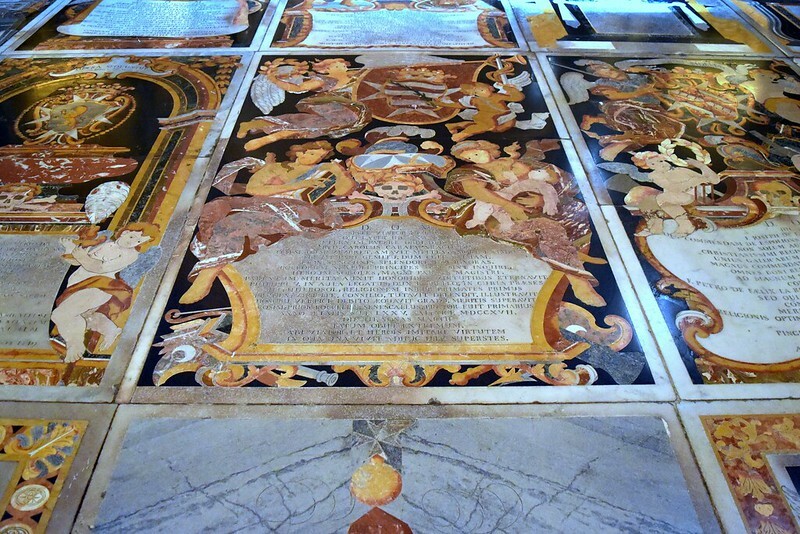 There is barely an ungilded surface to be seen–except on the floor, which features a dizzying selection of marble tombstone decor teeming with mosaic skeletons. Though a somewhat morbid lot, those Knights were extremely fond of bling. 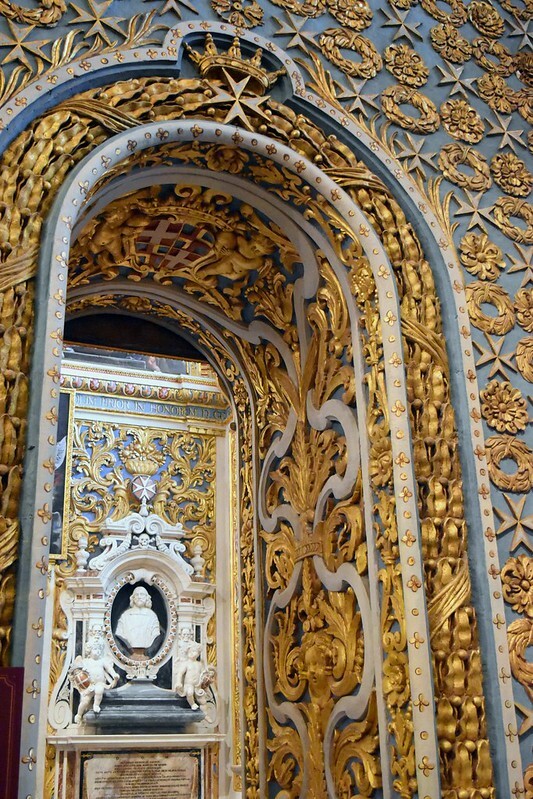 Aside from the lavish decor, another reason to visit the Cathedral is Caravaggio. 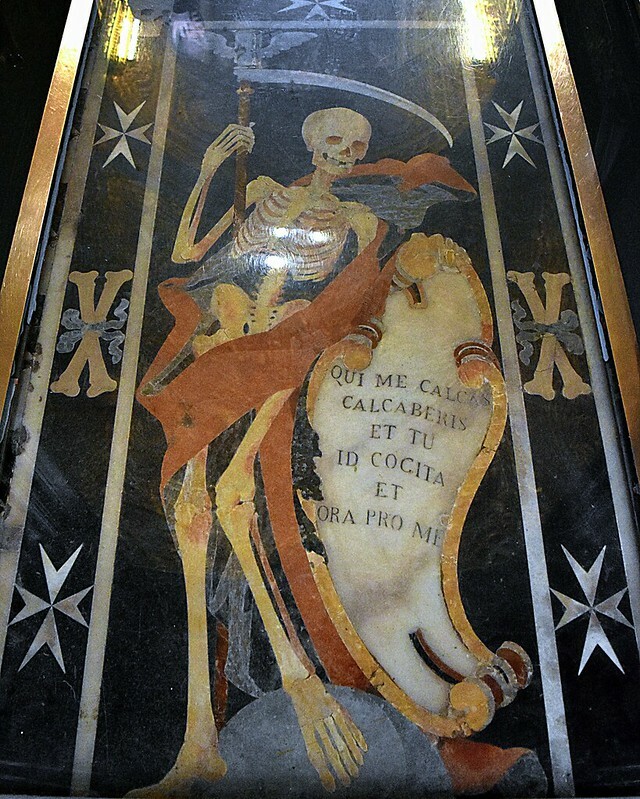 After killing a man in Rome in 1606, he spent the last four years of his life on the run. 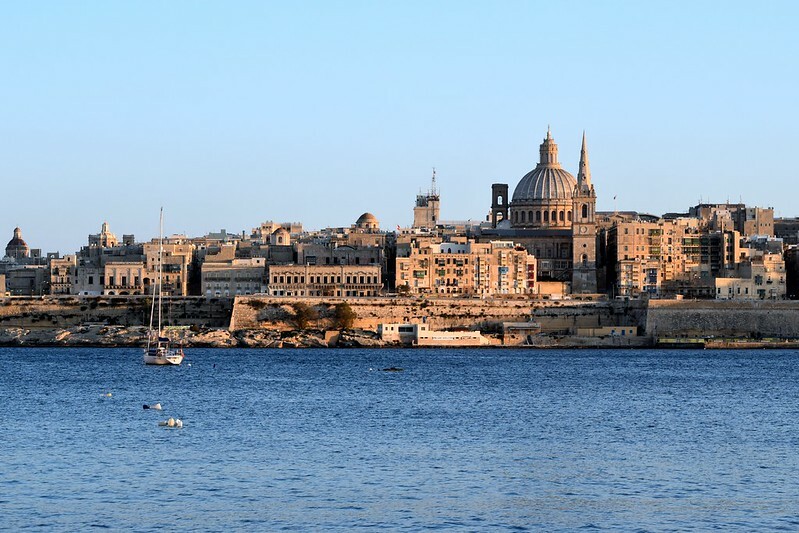 He went to Malta in 1607 in the hopes of getting a Maltese knighthood with which to redeem himself. He paid for the knighthood with paintings, two of which are in the cathedral: The Beheading of St. John the Baptist, the only painting Caravaggio signed, and St. Jerome Writing. Caravaggio’s painting of the head knight himself, Grand Master Alof de Wignacourt, is in the Louvre. Alas, things did not go well for Caravaggio in Malta. After wounding another knight the day before the grand unveiling of The Beheading of St John in 1608, he was thrown into a hole carved in the rock to await further (worse) punishment. 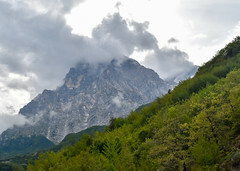 He languished there for about a month and then somehow got out (a hitherto unmanageable feat), off the island, and back to Italy without being caught. He obviously had help. But his luck ultimately ran out; his knighthood was not only revoked, but he was attacked by several assailants and slashed across the face in Naples in 1609; some biographers believe the knight he wounded in Malta was behind the attack. Caravaggio died in 1610 at the age of 38, on his way back to Rome after being pardoned by the Pope. 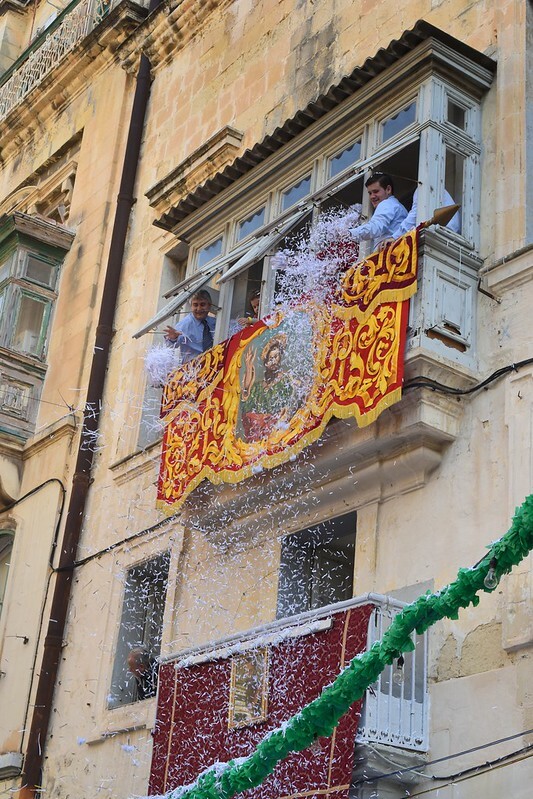 Feast of St. Paul’s Shipwreck: Unbeknownst to us, we arrived in Malta on the day of the Feast of St. Paul’s Shipwreck. According to tradition, Paul the Apostle was on his way to be tried in Rome when his ship capsized off the coast of Malta. He survived and remained on the island for a while and won the affection of the populace, which lasts to this day; references to St. Paul are visible everywhere. 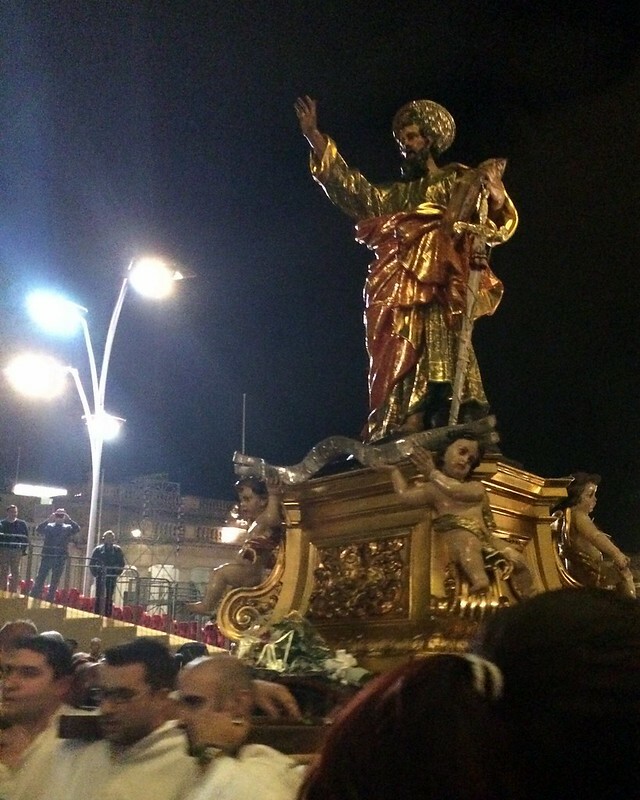 The Feast in his name involves marching bands, confetti tossing, processing (with an extremely heavy 350-year-old statue of St. Paul), and celebrations at the Church of St. Paul’s Shipwreck — and we were delighted to experience it throughout the day and into the night. 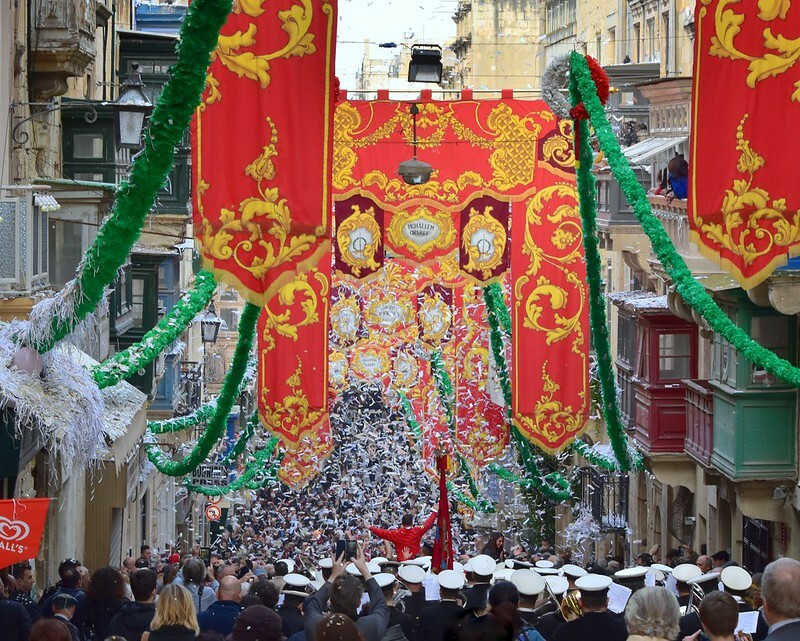 The Feast is usually held on February 10, but even if you are not in Valletta on the day, the church is worth seeing. If you leave the Co-Cathedral with memories of gold, the Church of St. Paul’s Shipwreck will have you seeing red. 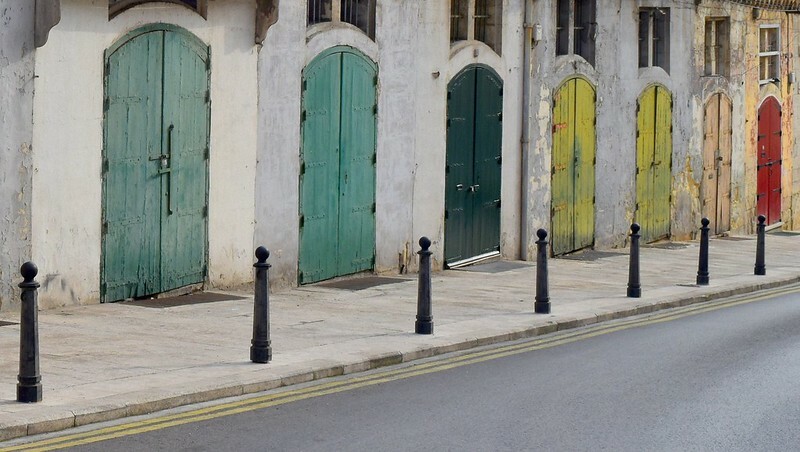 Saluting Battery: In between all the Feast-day celebrations, we made sure to get to the Upper Barrakka Gardens–not just for the stunning views of the Grand Harbour, but also for the Saluting Battery (the firing of a cannon), which occurs at 12 noon and 4 pm every day. Fans of Patrick O’Brian’s Aubrey-Maturin novels set during the Napoleonic Wars will have read about the custom of gun salutes for ships entering a harbor, and also about Malta. O’Brian’s eighth novel, Treason’s Harbour, is based there. In the novels and in Malta, Napoleon is not remembered fondly; the Knights of St. John surrendered the island to him in 1798 and were forced into exile (again, this time to Rome). Napoleon then dismantled the Roman Catholic Church on the island and stripped the churches of their valuables. 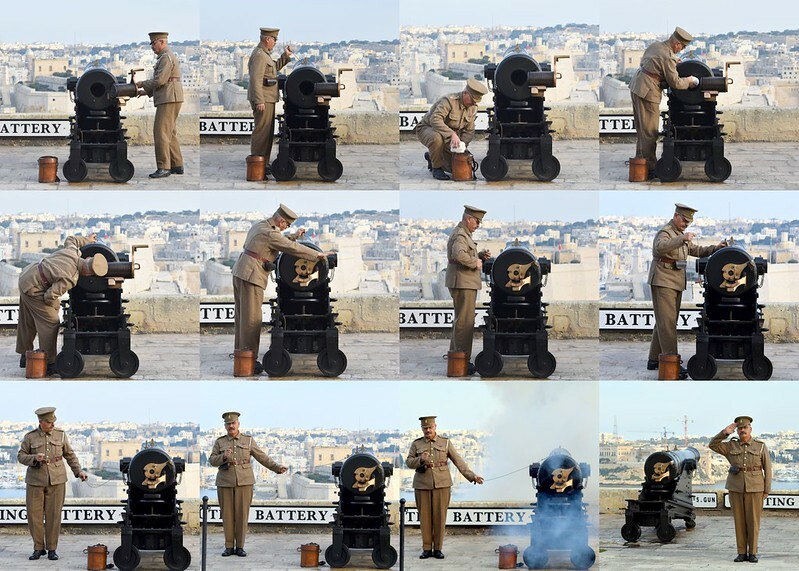 There are actually eight cannons on the Upper Barrakka battery, but the last time all were fired–in a rolling 21-gun salute–was when Queen Elizabeth visited Malta in November 2015. 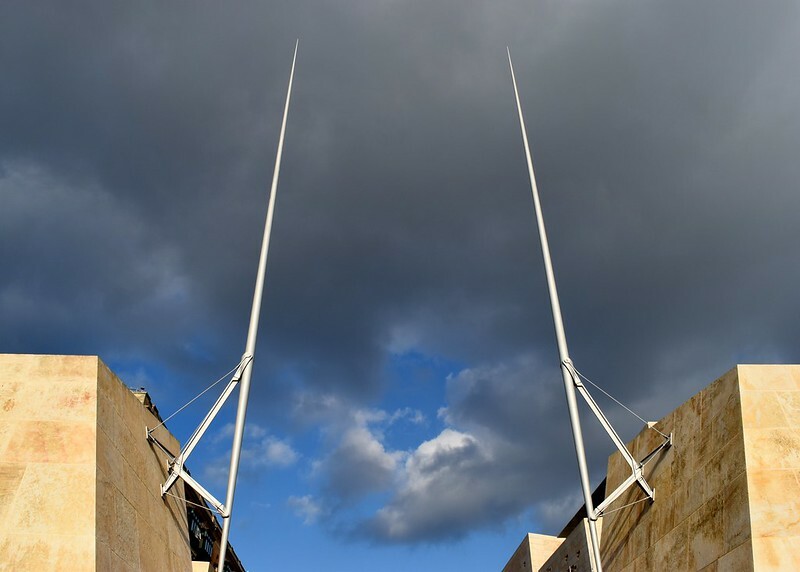 She and the Duke of Edinburgh lived in Malta for two years as newlyweds when he commanded a Royal Navy frigate there; Malta is the only place outside the United Kingdom the Queen has ever lived. 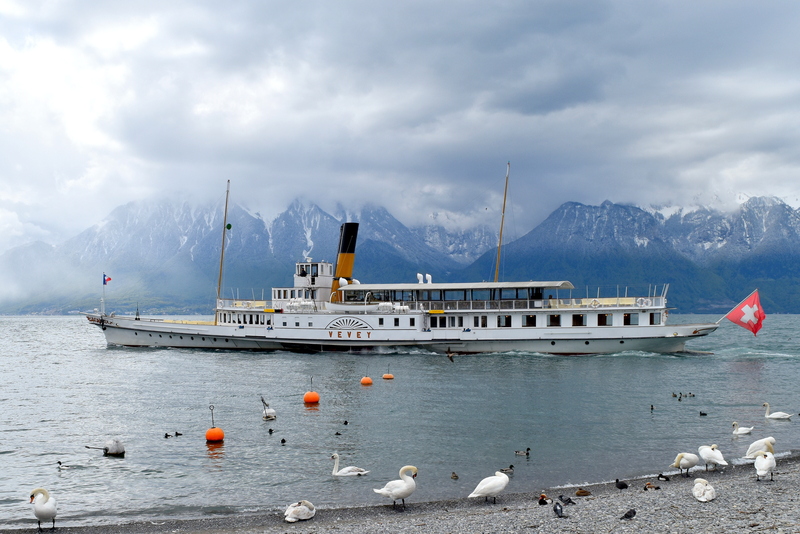 In 2015, she arrived by ship, as her father had done in 1943 to offer words of comfort and condolence to the population. Because of its strategic location and the presence of a British base there, Malta was horrifically bombed by Axis pilots during World War II, with one stretch lasting a continuous 154 days. 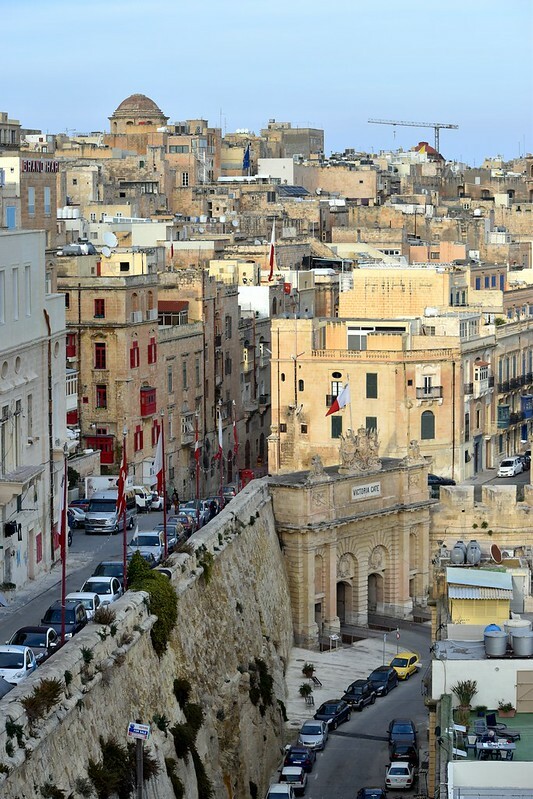 As a result, the Maltese population as a whole was awarded Britain’s highest civilian honor for bravery. … and new. 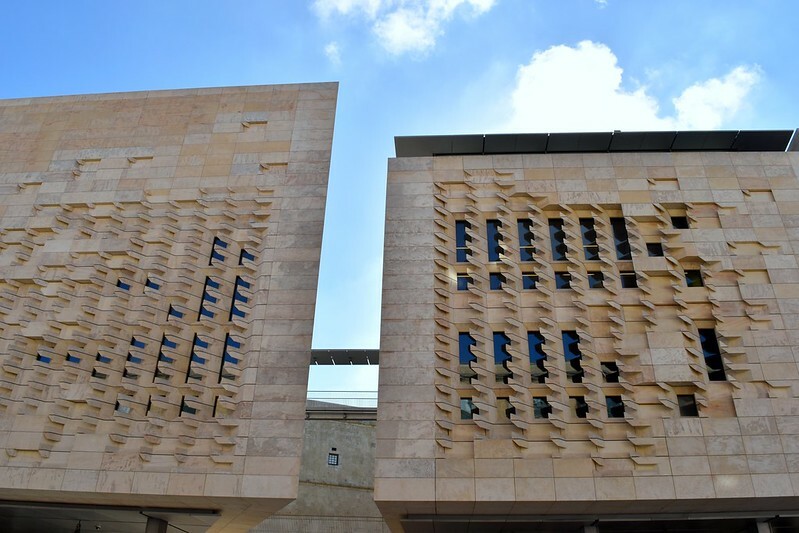 In terms of the new, there is the controversial but striking new City Gate, finished in 2014 and designed by Renzo Piano, who also designed the new Parliament building and the new open-air theater housed within the ruins of the bombed-out Royal opera house. 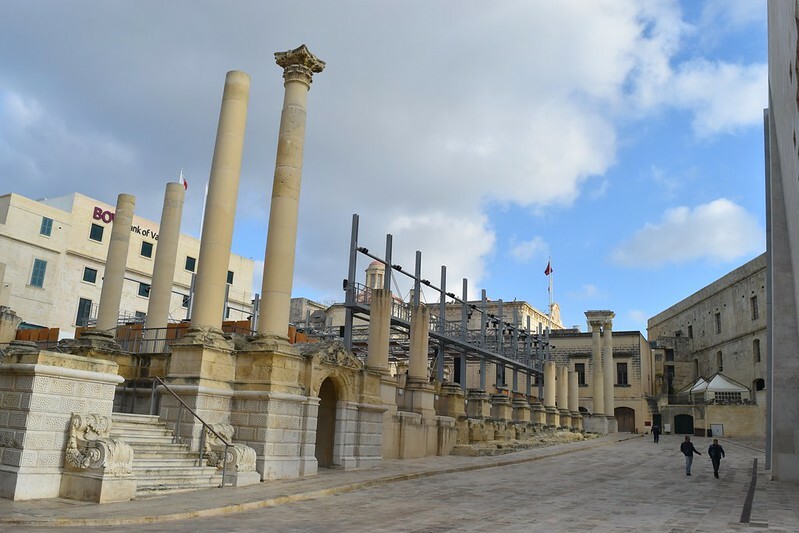 If you are catching a bus to any other part of Malta, you will walk right by all three structures, as the main bus area is outside the City Gate. Finally–armies march on their stomachs, so if you are doing a lot of walking, you’ll need some fuel. 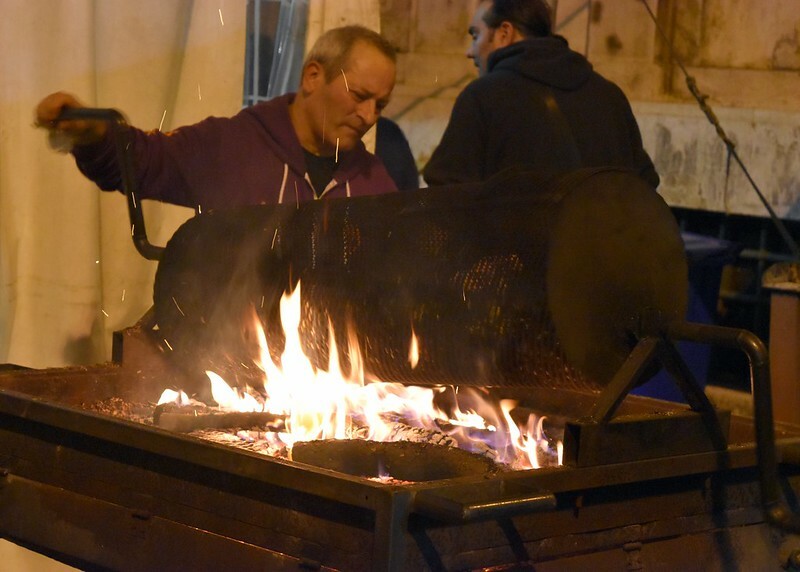 Stop by Nenu the Artisan Baker for Maltese-style pizza known as ftira. 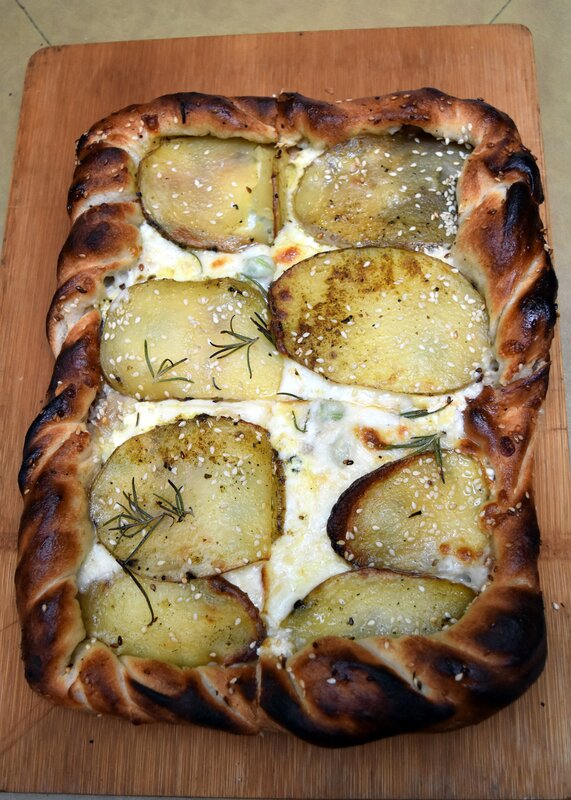 The version I tried included potatoes, pork belly, ricotta, broad beans, and rosemary. It was fantastic, but huge! And that was Day 1 in Valletta. We would also have liked to see the Casa Rocca Piccola, but we arrived just after it had closed for lunch. 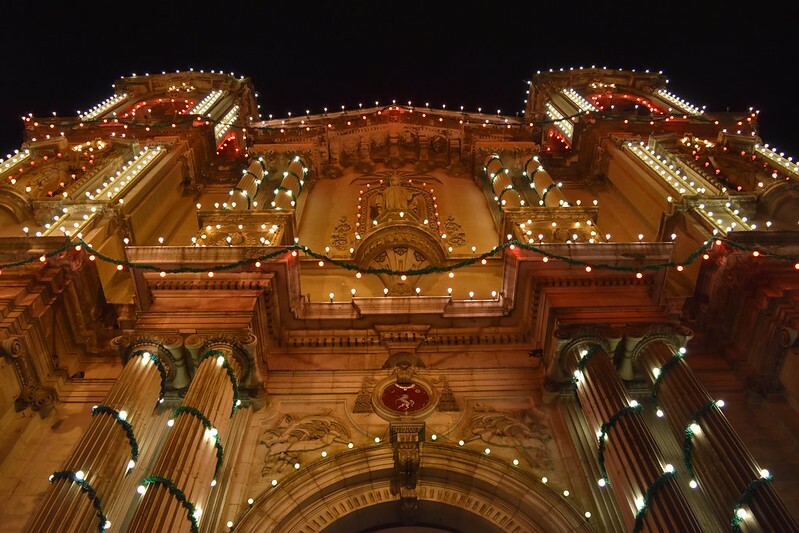 In Valletta, it is important to plan the timing of your visits; the Cathedral, for example, is closed Saturday afternoon and all day Sunday. Since moving to Italy, I have become obsessed with fresh, soft ricotta. Ricotta is made from the whey left over from making other cheese (so, the second cooking–and hence the name ricotta, which means twice cooked). It can be made from cow’s milk, sheep’s milk, goat’s milk, or buffalo’s milk. Cow’s milk ricotta is more common, but I love the taste and texture of sheep’s milk ricotta (ricotta di pecora), which has a very high fat content and is a bit softer than the cow milk version. Despite this slight preference, I have yet to meet a ricotta I do not like. 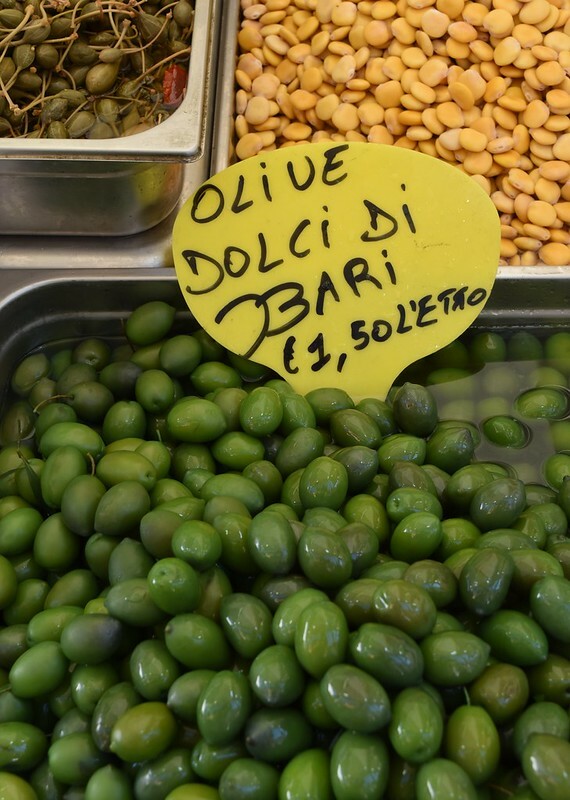 I love it in pastas and in any savory incarnation–but I really, really love it sweet: in the ricotta cakes here in Rome, in Sicilian cannoli, in the Neopolitan sfogliatelle…the list goes on. Basically, I love sweet ricotta here, there, and everywhere. 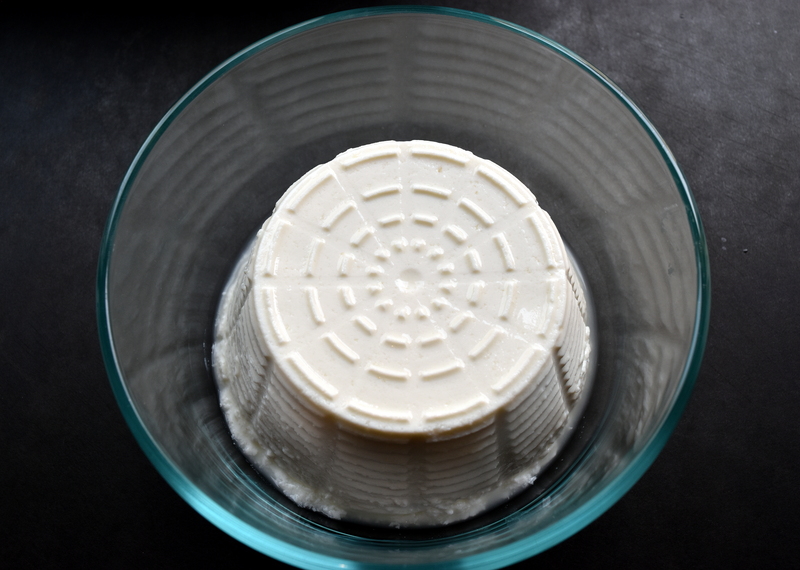 So for the past few weeks, I’ve been experimenting with making a ricotta dessert at home: mousse. It has been tough work. This version is currently my husband’s favorite: coffee-flavored with ripples of gianduia, a dark chocolate-hazelnut spread that is a sleek, grown-up version of Nutella. The recipe is for two servings (based on 1/2 c. ricotta per person)–and can easily be multiplied. 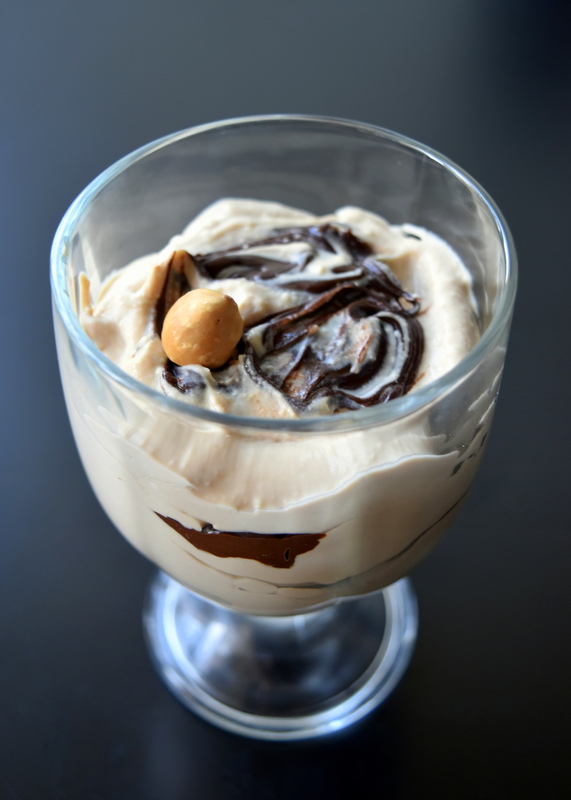 It yields a subtly flavored mousse that is not overly sweet, but the ingredients can easily be adjusted to your taste. Note: delicious as this is, it has one other thing going for it–it is a very quick dessert that can be made ahead and put in the refrigerator until later. 1. Dissolve the instant espresso powder (or instant coffee granules) in the vanilla. 2. 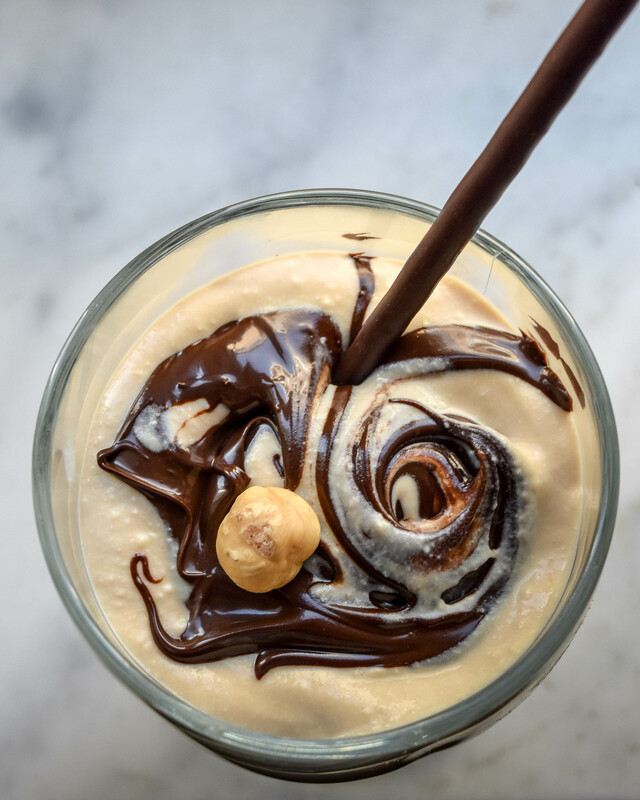 Place the remaining mousse ingredients in a bowl and mash with a fork until soft and mousse-like; add the coffee/vanilla mixture and whisk to combine, eliminating as many lumps as possible. 3. Leave with a few lumps for a more rustic mousse, or, for a finer texture, use an electric whisk (such as a whisk attachment on an immersion blender) or a hand mixer and whisk until velvety smooth. 4. Place 2 heaping tbsp. mousse in the bottom of each mousse cup, dot with about 1 heaping tsp. gianduia, and swirl slightly. Repeat, for three layers total, using up all remaining ingredients in the final layer. 5. If preparing in advance, cover each mousse cup with aluminum foil and refrigerate. 6. Just before serving, garnish each mousse with a whole hazelnut and chocolate-coated cookie stick. After our visit to Sora Margherita, I found I could not get the broccoletti ripassati out of my mind. Soft, delicately sweet and nutty, redolent of roasted garlic and chilies, it was a perfect wintery comfort food, and I wanted to replicate it at home. So last week I went in search of a nice Broccolo Romanesco. It is in the Brassica oleracea family, along with broccoli, Brussels sprouts, cabbage, cauliflower, collard greens, and kale. Not to be confused with regular broccoli (Brassica oleracea Italica Group), Romanesco broccoli (Brassica oleracea Botrytis Group) is bright green and pointy and has been grown in Italy for centuries. 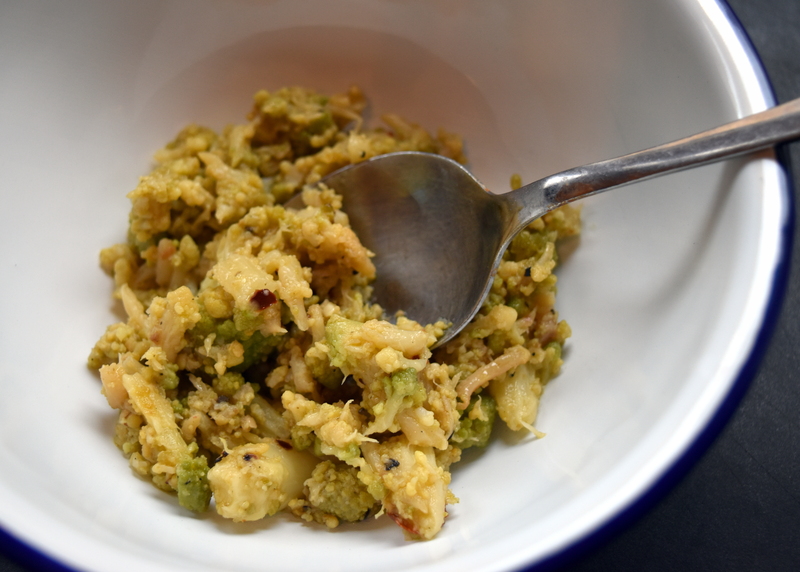 It is most closely related to cauliflower and tastes a bit like it–though it is richer and more tender. 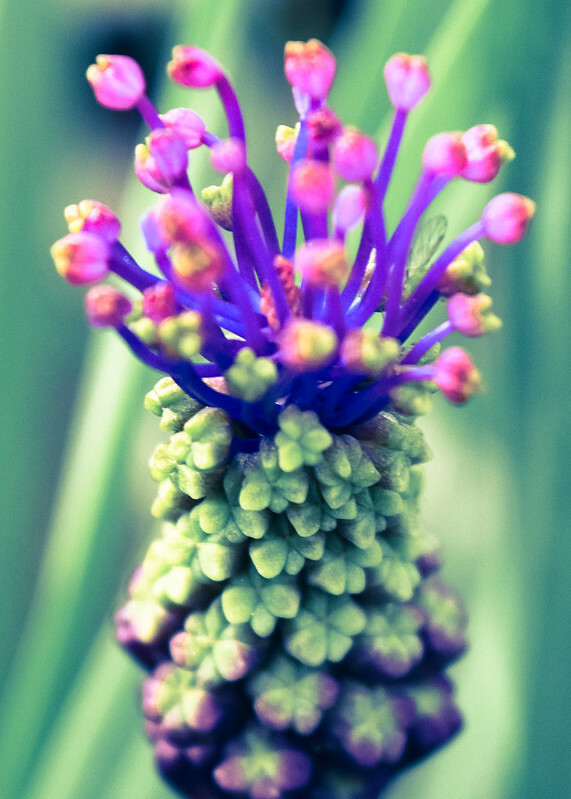 And while it is sometimes labelled “broccoflower,” it should not be confused with the other, more common “broccoflower” that looks just like a green cauliflower. By now, I’m sure you are confused…. But rest assured, if you see a swirly, pointy, highly decorative Broccolo Romanesco, you will immediately know it is the one that is not like the others. And if you do see one, grab it, take it home, and make some Broccoletti Ripassati; you won’t regret it. You can it eat it as a side dish, on its own (pictured up top as an oh-so-good, next-day lunch eaten with a spoon)–or mixed into pasta with some of the cooking liquid, as is very common in Rome. 1. Trim the broccoli, cut it in half, cut out the core, and separate each half into florets. 2. Bring the broth to a boil and simmer the florets in the broth until they are soft enough to be pierced with a fork–it should take less than 10 minutes. 3. Drain the florets, reserving 1 c. of the cooking water. 4. Heat the olive oil in a large, heavy skillet over medium-high heat and grind some black pepper over the top. Add the chili flakes, cook for about a minute, then add the 4 cloves of minced garlic. Cook for about 30 seconds while stirring, then add the broccoli and stir to coat it with the garlic. 5. Cook for about 15 minutes, stirring periodically and scraping up any bits from the bottom of the skillet, until parts of the broccoli turn very slightly golden. During the course of this second cooking, the broccoli will begin to disintegrate, which is perfect. 6. If the broccoli gets too dry, add some of the reserved cooking liquid and/or olive oil. You do not want the broccoli to be either too wet or too oily; you want it to be soft, moist, and almost slow roasted. 7. Sprinkle the red wine vinegar over the broccoli and cook until the vinegar has evaporated. Add the remaining 2 cloves of minced garlic, and cook for another 5 minutes (the first batch of garlic contributes to the slow-roasted taste; this batch adds a little extra kick–but it’s optional). 8. Season to taste and serve. Tags: Brassica oleracea, bright green, broccoflower, broccoletti, broccoli, broccolo, Broccolo Romanesco, Italian, Pasta, pointy, Roman cauliflower, romanesco, Romanesco broccoli, side dish, vegan, vegetarian, What is the difference between broccoli and broccoflower? On a recent blustery Saturday, after a long appetite-inducing walk (past our local 2,000-year-old Pyramid, up the Aventine Hill to look through the famous keyhole, down to the Circo Massimo for a required stop at the Mercato di Campagna Amica farmers’ market, past the church of Santa Maria in Cosmedin and the Boca della Verita, onward to the ancient Teatro di Marcello, and into the Jewish Quarter), my husband, a friend, and I made a spur-of-the moment decision to see if Sora Margherita was open for lunch. It was, and miraculously, one last table was available. Though we went there to eat, I ended up being fed. And what a joy that was. Sora Margherita is a tiny, no-nonsense place that is perennially packed. We settled in, careful not to knock elbows with our neighbors, and were eventually given water, a basket of bread, and then a single hand-written menu. 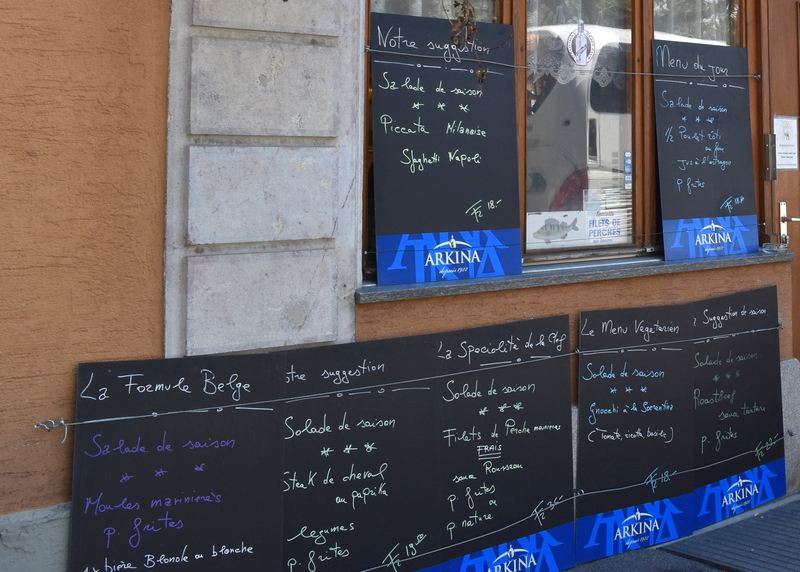 We were deep into the difficult task of deciding which of the renowned house specialties to order when our busy waitress, Tiziana, finally came to a halt beside our table. “Well?” she asked. It can be perilous to send Italian waitstaff away, because they may not come back for a while. Tiziana was a woman on the move and we were starving, so I employed my favorite tactic–I asked her to advise us. Whereupon she took away the menu and said, “I will decide.” And so she did. In short order, the dishes began to appear. First out, two traditional favorites: Carciofo alla Romana, a tender whole artichoke braised in white wine and olive oil (Roman style)—and Carciofo alla Giudia, a crispy, deep-fried version (Jewish style). Tiziana wrongly feared we might not know the proper technique for eating the crispy version, so she leaned over the table, pulled off an artichoke leaf, and held it to my mouth. I opened up and ate; I dared not refuse Tiziana anything. The artichokes were followed by broccoletti ripassati—Romanesco broccoli that is blanched, then sautéed with olive oil, garlic, and chilies until it is meltingly soft. I could have eaten the entire plate. Then came puntarelle in salsa d’acciuche—a salad made with the shredded inner stalks of a member of the chicory family, seasoned with olive oil, garlic, lemon, and anchovies. It was a crisp, piquant counterpoint to the soft broccoletti. Having temped our palates with these appetizers and side dishes, Tiziana then began to roll out the main courses: the famous, house-made fettucine al sugo di carne (with a braised meat sauce), salsicce e spuntature al sugo (fresh sausages cooked in the same meat sauce, accompanied by a spare rib), and baccala fritto (fried cod). We shared all the delicious dishes family style, but even so we struggled to finish everything. On one of her perambulations past our table, Tiziana glanced at the sausage platter and saw the lone meaty rib, bereft of its former companions. That stopped her in her tracks. She reached over, lifted the rib from its resting place, and said “This is good—eat!” Again, the rib was aimed in my direction. When faced with a saucy offering, what can one do? I took the rib and returned the clean bone to the platter a moment later. Only then was Tiziana satisfied. We had done our proper duty by Sora Margherita’s dishes. Almost. There was dessert to be had, and we had torta di ricotta e cioccolato—a moist ricotta cake with chocolate. Because there is always room for dessert. The warm glow from that lunch (and the resulting food coma) lasted a long time, thanks to Tiziana and the masters in the kitchen. We’ll be back. Because the pasta cacio, peppe, e ricotta (pasta with a Pecorino Romano-black pepper sauce and dollops of ricotta) is already calling my name. One of the pleasures of being in a new place is tasting local dishes and then trying to figure out how to make them. 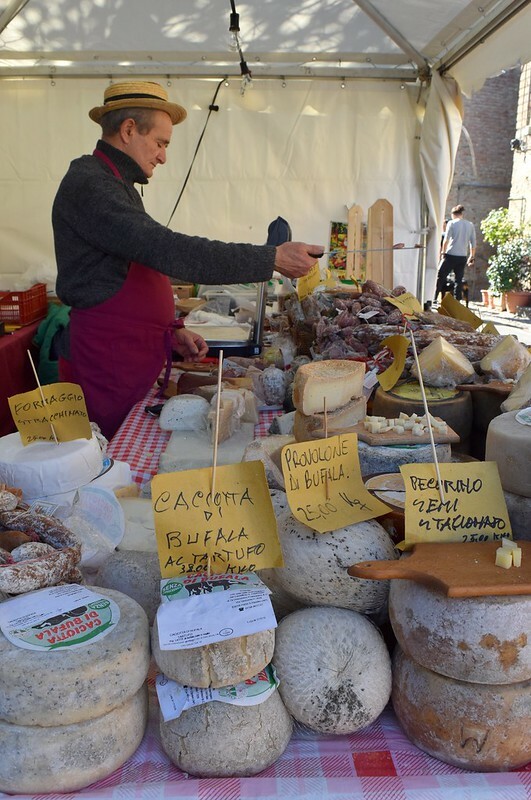 In Italy, part of the fun lies in consulting butchers, greengrocers, cheese purveyors, wine merchants, and really, any Italian who eats, because they are all happy to offer advice. 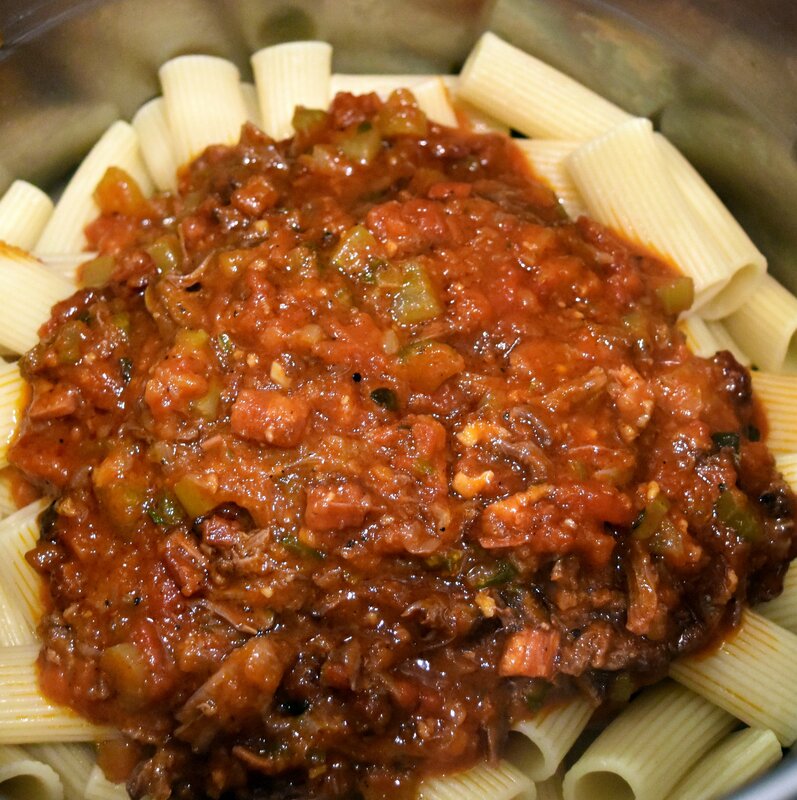 As soon as the days grew cooler, I knew what I wanted to make: Coda alla Vaccinara (Oxtail Stew) served over rigatoni–an old-style dish appearing on many Roman menus. 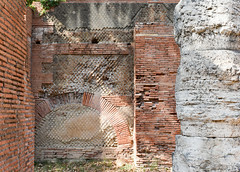 In previous times, the slaughterhouse workers of Testaccio (the vacccinari) were given offal and oxtails to pad their slim salaries. Their wives rose to the challenge and created dishes that made the most of the available ingredients. In Coda alla Vaccinara, the oxtails are braised in a sauce made with pancetta, lots of celery, onions, carrots, tomatoes, wine, and spices, though the stew is open to interpretation; everyone I asked prepares the dish in a slightly different way. Some people make it with red wine instead of white, some add water, some forego the carrot, some add raisins. Large pieces of celery are de rigueur, but in a rebellious break from tradition (and knowing I wanted to turn the entire stew into a sauce), I finely diced all the celery and survived to tell the tale. However, I did not escape looks of shock and dismay on the faces of two Italian friends when I mentioned I had added a pinch of cinnamon to the stew. “Cinnamon? CINNAMON? No. NO.” But I say “Yes.” In addition to cloves, cinnamon very frequently appears in recipes for Coda, which is meant to have a warm-scented, delicately sweet undertone. 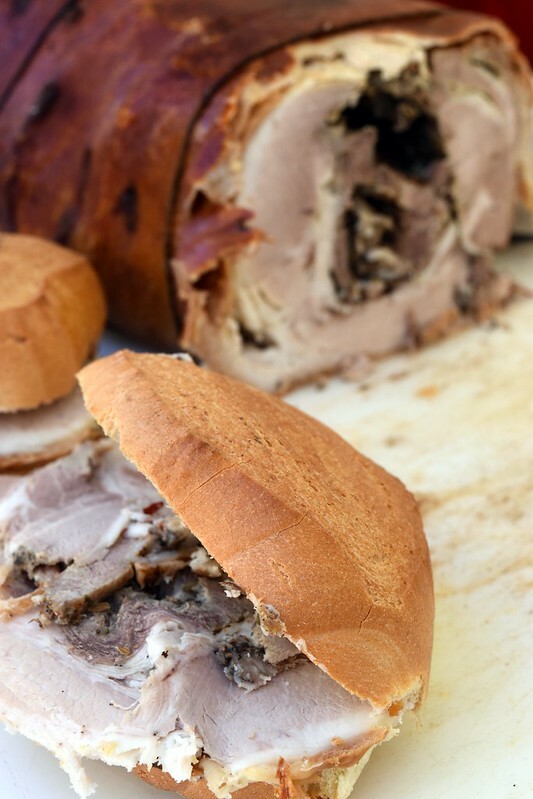 So here is the resulting recipe, a hearty interpretation perfect for autumn and winter. And following on the advice of Alessandro Volpetti (and I’m happy to take the word of anyone at Volpetti’s), I topped the Coda with grated Ricotta Salata cheese, one of my favorites. But omit the cinnamon if you prefer, top with Parmesan or Pecorino Romano instead–this dish is yours to interpret. 1. Lightly season the oxtail pieces with salt and pepper. 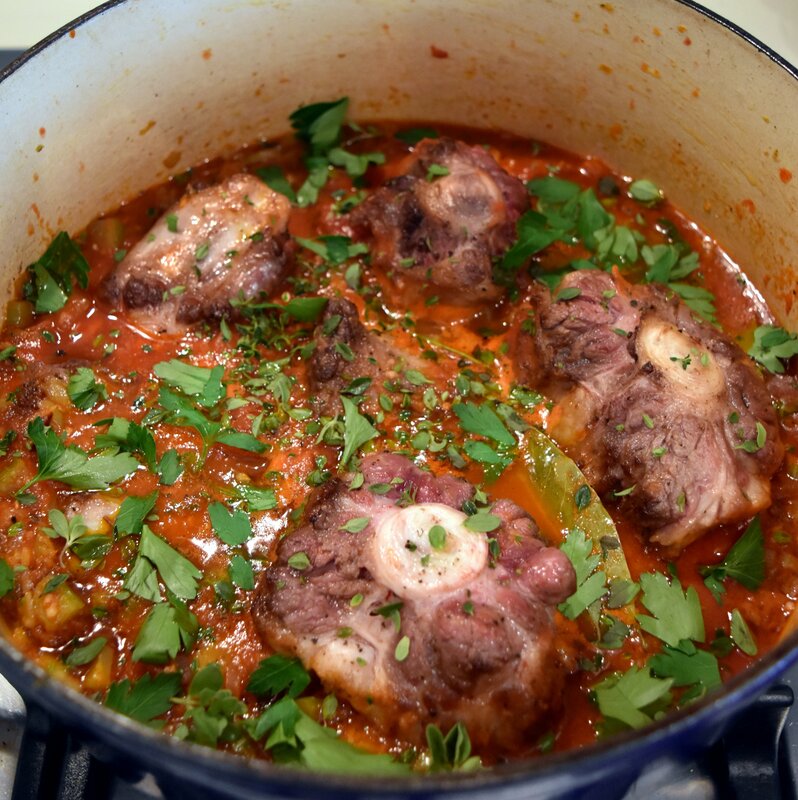 Heat the olive oil in a large Dutch oven, then brown the oxtail pieces, turning them on all sides. Remove from the pot and place in a bowl. 2. Add the pancetta to the pot and cook until mostly crispy and the fat has rendered; do not drain the fat. Add the onion, carrot, and celery and cook until soft, deglazing the pot as you go. Sprinkle the onion mixture with more black pepper, add the garlic and bay leaf, and cook for a couple of minutes. Add the chili flakes, cloves, and cinnamon and cook for a minute or two while stirring. Add the tomato paste and the wine. Simmer gently for about 5 minutes to reduce the liquid slightly. 3. With clean hands, take a peeled tomato from the can and crush it into the stew; repeat with all the tomatoes. This is a very satisfying technique—but moderation is key; if you are too enthusiastic, you may end up shooting tomato bits across the kitchen. If you prefer a slightly less visceral experience, you can cut the tomatoes while in the can, or remove them and dice, adding all the tomatoes and all the tomato sauce/juice from the can to the pot. 4. Mix in the pinch of sugar, nestle the oxtail pieces into the vegetable mixture, pour in any liquid from the bowl they were in, sprinkle with more black pepper, and then scatter some of the herbs on top. 5. Cover the pot and simmer on low heat for about 3 hours, or until the meat is very tender when pierced with a fork (it may take longer depending on the oxtails). Remove the oxtails, place on a dish, let cool, then pull off as much meat from the bones as possible (this will require some patience). Return the shredded meat to the sauce; keep warm. 6. Cook the rigatoni according to package instructions until al dente, drain, return to its pot, and then mix in the Coda sauce. Scatter more fresh herbs on top and serve with the grated cheese. Last weekend, we took our first road trip. 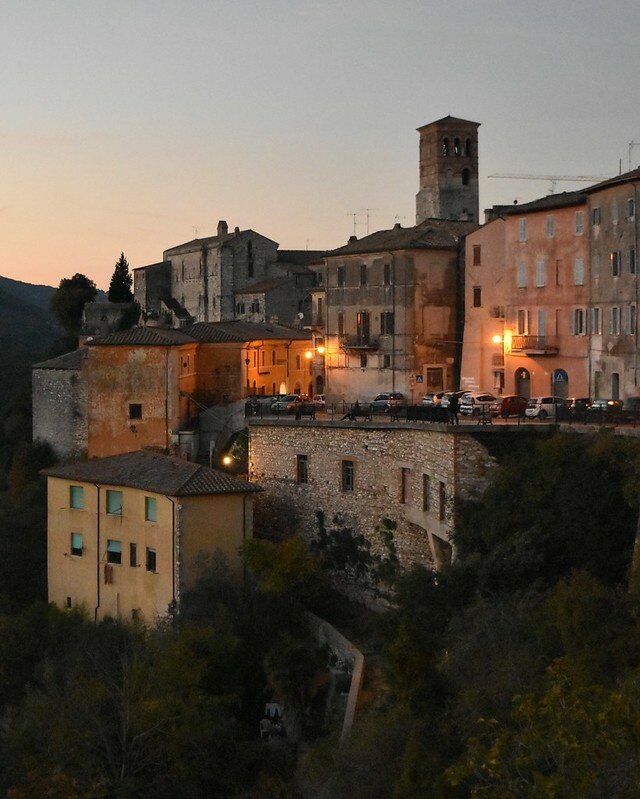 Destination: Umbria–specifically the Truffle Festival (Sagra del Tartufo) in Fabro. 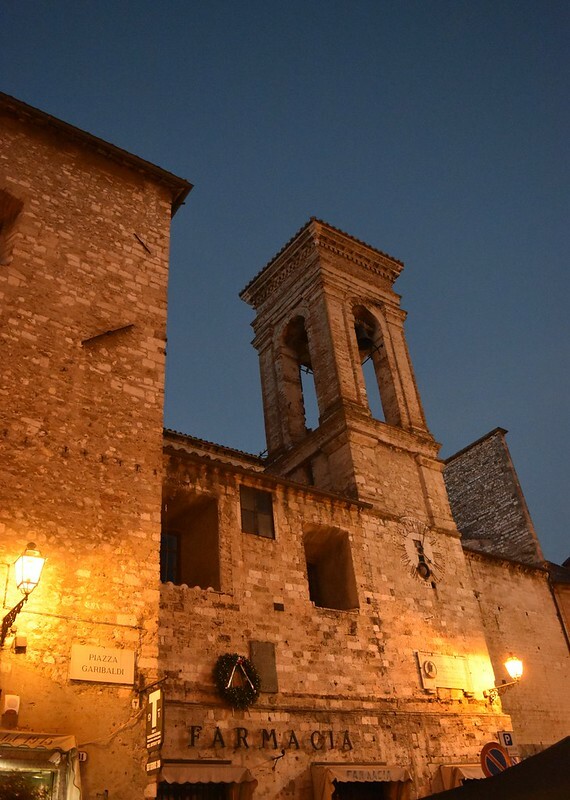 This medieval town is just under two hours away from Rome (slightly less if you can make it out of Rome without getting lost…). 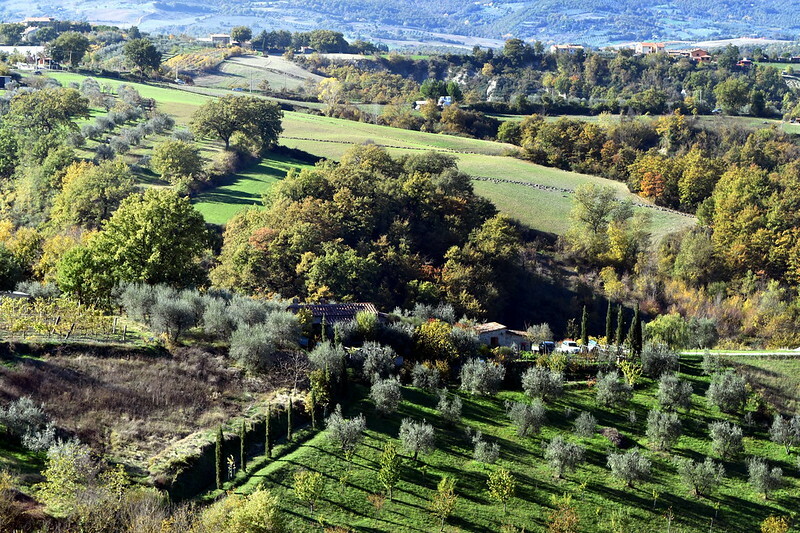 And its woods (below) are full of truffles. 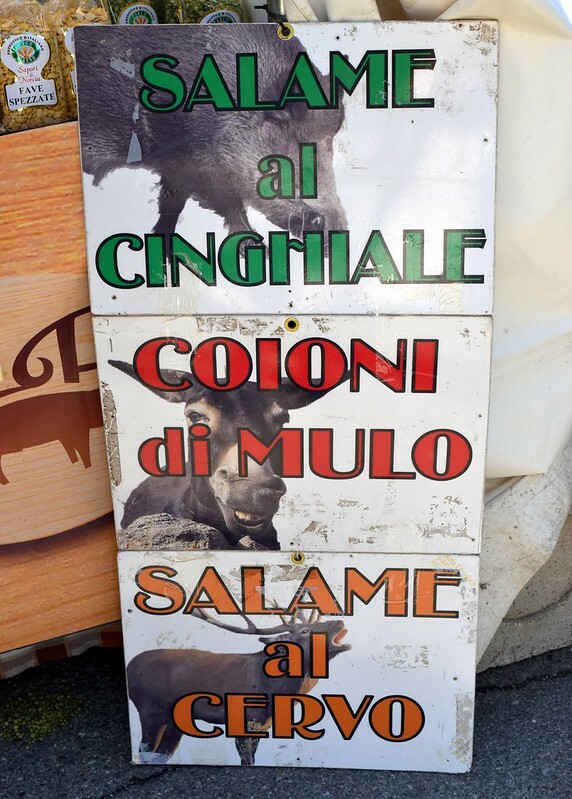 I did a double take when I saw the sign below, thinking mule salame was on offer along with the wild boar and venison versions. 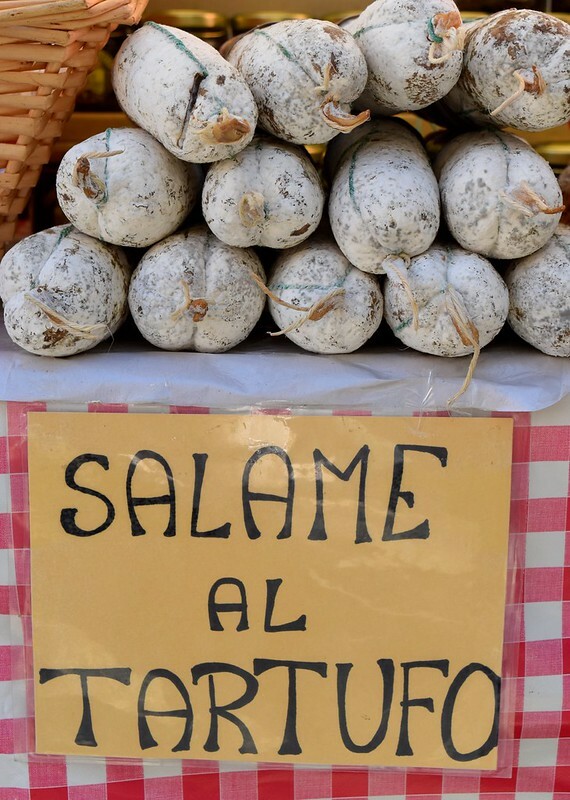 But no–it was just salame shaped like mule testicles…. After visiting the festival, we stopped at a nearby restaurant for lunch (because really, the festival was just a long snack…), where we ordered truffled pasta to share and I had pheasant with a sauce made from truffles, pate, and cognac. 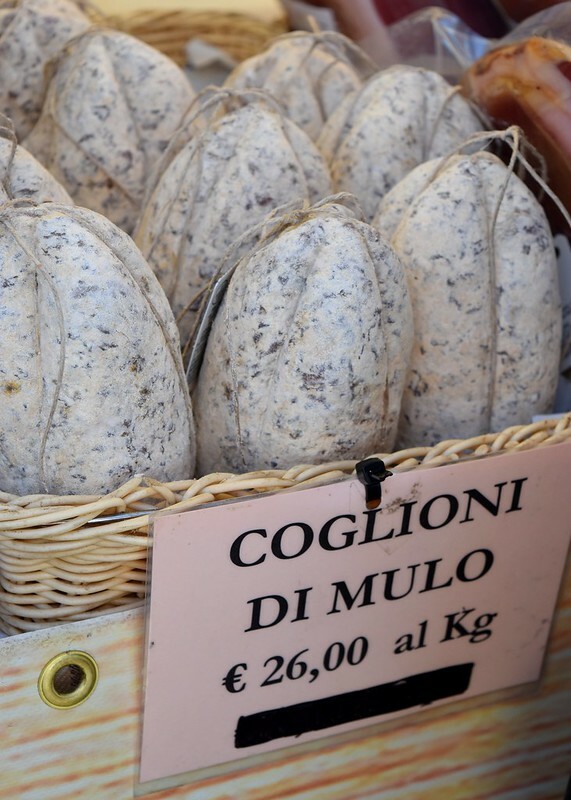 That may sound expensive, but it wasn’t; during truffle season in Italy you can get all sort of truffle-related dishes for very reasonable prices. Of course, if you are hoping to buy a whole, hefty, wrinkled, earthy, deeply aromatic truffle–that’s an entirely different proposition. But we weren’t. I was happy with the few tastes I had. A blasphemous statement, I know–but I find that a very little truffle goes a very long way. Now, porcini mushrooms, on the other hand….